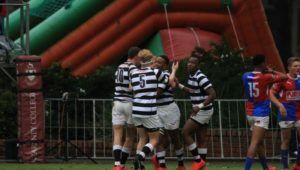 Glenwood scored either side of half-time to beat Maritzburg College 15-7 in Durban on Saturday. DYLAN JACK reports. Maritzburg came into the match having not won against their traditional rivals since 2010. They flew into the lead, but a sluggish 10-minute period before and after the break allowed the Green Machine to walk away with the bragging rights once again. It will come as a massive confidence boost to Glenwood, who are missing the bulk of the team who went unbeaten in 2018. The visitors made a dream start to the match when blindside flank Siya Ningiza broke the line and went on a powerful run to score in the corner. 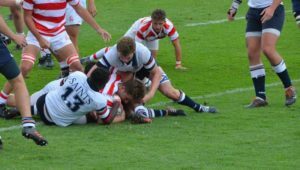 While the majority of the first half was played in Glenwood territory, Maritzburg struggled to capitalise fully on their opportunities, with their lineout and scrum coming under pressure and costing them field position throughout the match. The trench-like conditions on Glenwood’s main field only got worse as the game went on, making consistent handling very difficult. However, the home side hit back just before the break when a 5m maul sucked in Maritzburg defenders, allowing outside centre Martino van Wyk to make an excellent linebreak and score. A couple of minutes later, Glenwood took the lead when an overthrown lineout handed them possession inside the Maritzburg 22. The ball was then shifted to left wing Katlega Thamange, who scored in the corner to give the hosts a 12-7 lead at the break. Glenwood came out in the second half fired up, but scrumhalf Joe Jonas, who moved there from fullback, missed a tough penalty. 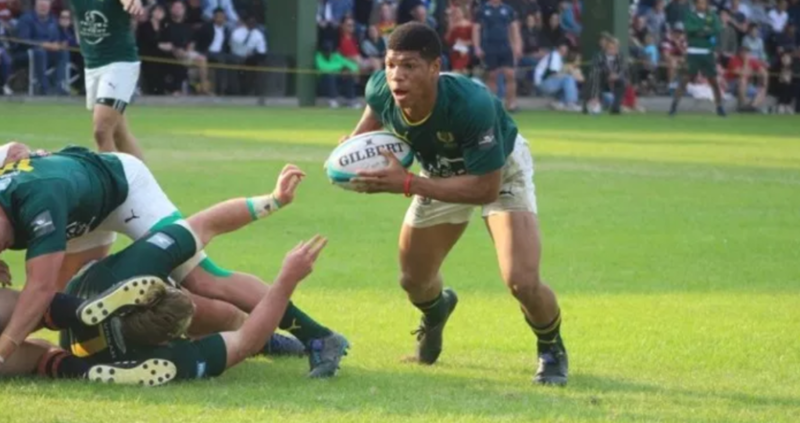 With Maritzburg starting to rack up the penalty count, Glenwood flyhalf Jordan Hendrikse made no mistake with his attempt, setting up a thrilling last 10 minutes. Maritzburg went on to the offensive and came close, but Jonas did brilliantly to hold big flank Malwande Dlangadlanga up over the line. Ningiza then appeared to have set up wing Khwezi Hadebe, but his pass was correctly called forward. 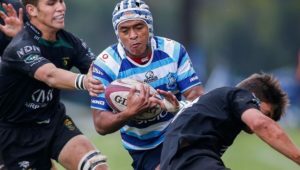 Glenwood – Tries: Martino van Wyk, Katlega Thamange. Conversion: Joe Jonas. Penalty: Jordan Hendrikse. 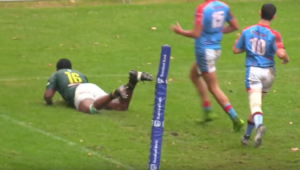 Maritzburg College – Try: Siya Ningiza. Conversion: Henry Trodd.